3,2,1… we are LIVE from the museum! When you click the little live video button on Facebook you have a three-second countdown, before the broadcast begins*. 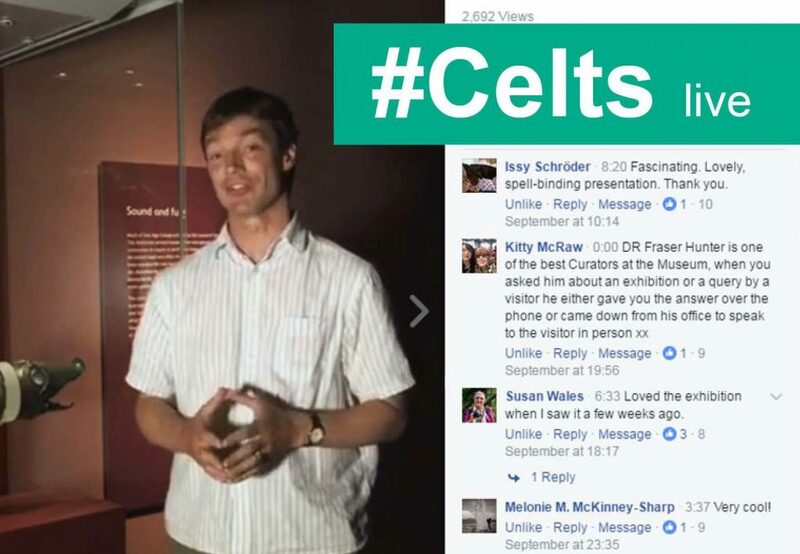 I took a deep breath before clicking into our first live broadcast with Martin Goldberg, our Senior Curator of Scottish History and Archaeology, as he welcomed people into our Celts exhibition on 23 June 2016. Martin Goldberg, our Senior Curator of Scottish History and Archaeology presents our first Live broadcast from our major exhibition, Celts. Despite a trial, practice, and test prior to clicking the red button… I got off to a slightly shaky start with that first broadcast, with some issues with light and sound. In my experience, there is still a certain mystery to a good live video broadcast and to say great live video just happens, at that moment that you click go live – is to potentially overlook everything you do beforehand that allows you to reach that specific point. Fraser Hunter, Principal Curator of Iron Age and Roman collections, discussed the 2,000 year old Celtic Carnyx that featured in Celts. Access to the exhibition for people who can’t get to see it. More in depth knowledge about the themes covered and objects on display. Access to curators – seeing the faces and personalities behind the exhibition. 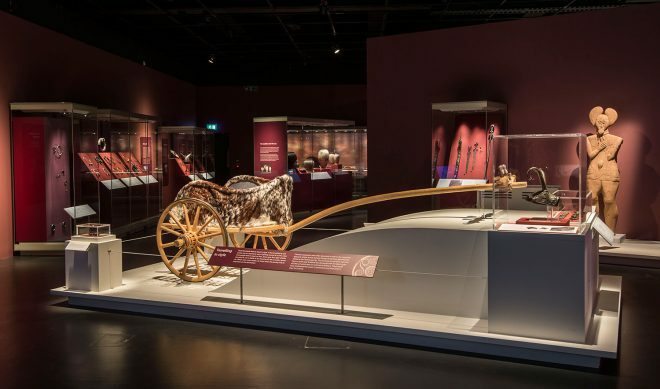 Seeing objects associated with the exhibition but not on display – ‘breaking out of the cases’. In total, we shared 6 videos from Celts. We then planned further similar ‘lives’ with speakers from our new Art, Design & Fashion and Science & Technology galleries, and other exhibitions. We’ve also captured live elements of events happening within the museum, such as the daily Free Fringe Music which takes place in August. When I started at National Museums Scotland, the major exhibition that year was called Photography: A Victorian Sensation. I loved it as it highlighted how the Victorian craze for the photograph transformed the way we capture images. 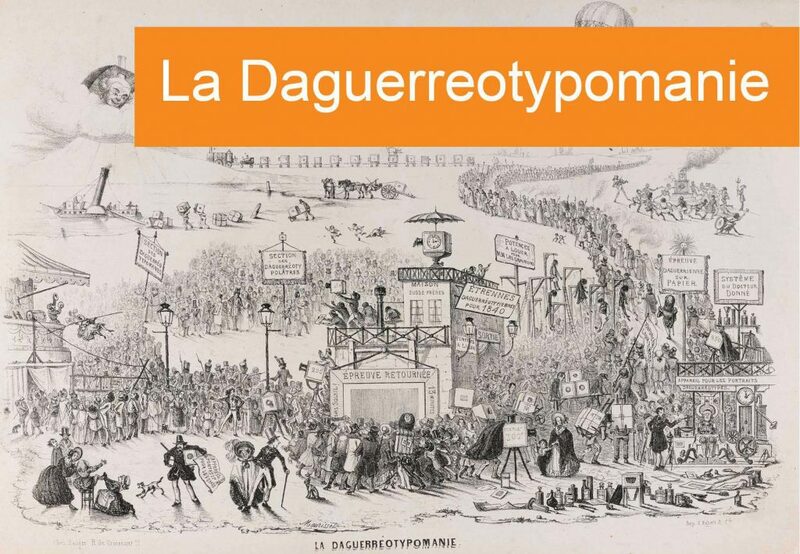 This 19th century lithograph from the exhibition was entitled La Daguerreotypomanie. The word daguerreotype refers to a specific photographic process, invented by the flamboyant Parisian inventor Louis Jacques Mandé Daguerre. Above: Black and white lithograph entitled La Daguerreotypomanie. From the Howarth-Loomes Collection at National Museums Scotland. Technology has moved on massively since the early photography days of the daguerreotypes, calotypes, ambrotypes, tintypes and stereocards. However, I keep thinking that if an updated version of this lithograph were to be created, it may reflect some form of ‘selfiemania’ or perhaps even a growing ‘livevideomania’ spreading throughout the early 21st century. Development of phones on display in the Communicate gallery at the National Museum of Scotland © Stewart Attwood Photography 2016. In 1981, Sony revealed the Sony Mavica, the first digital electronic stills camera and now over 35 years later, many people carry a camera in their pocket in the form of their mobile phone. 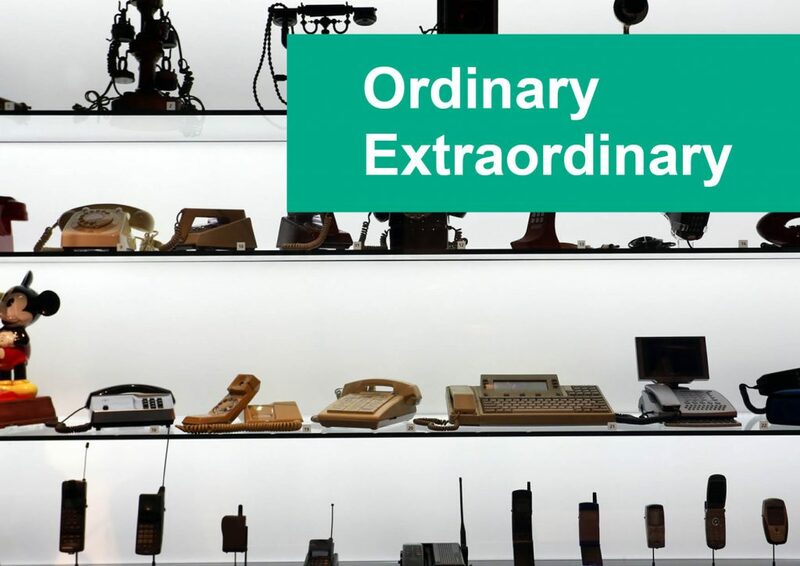 Our smartphones seem quite ordinary most days, but they really are quite extraordinary. 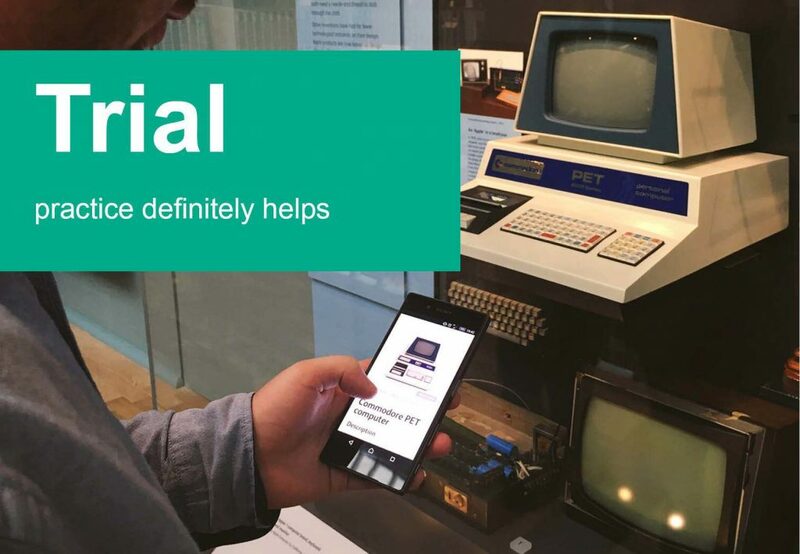 As traditional social channels are coming close to saturation, and have much more competition – they are building new products to invigorate their channels. One of the more recent developments from the likes of Facebook, Periscope, YouTube and Instagram has been the ability to live stream video directly from mobile. This makes it accessible to the masses, including us! Nice, but also the challenge for us – the challenge is to try and use that in our organisations. 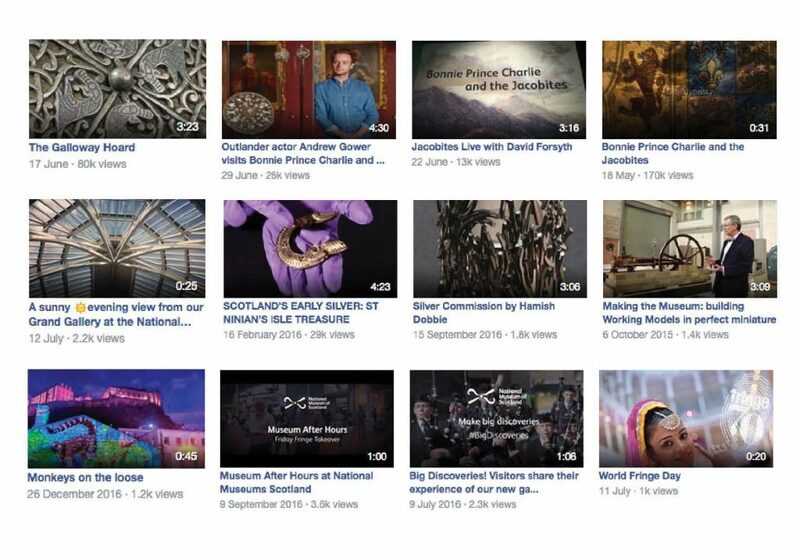 Recent videos on National Museums Scotland’s Facebook channel. Video has been increasingly on the agenda for digital and social media content for a number of years. 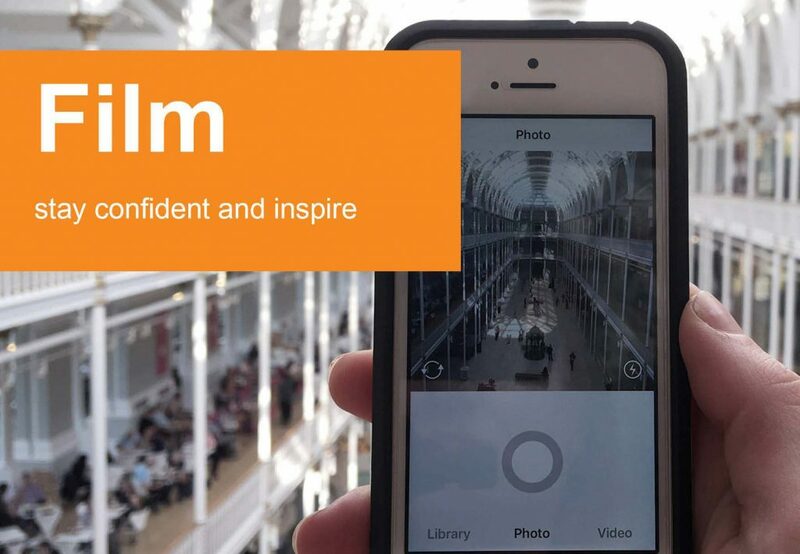 Departments across National Museums Scotland commission a number of films with allocated budgets and longer timescales: for exhibitions, advertising, and community projects and are often repurposed for social media. So if we have more time, it doesn’t necessarily need to be live. However, as time and budget are two things that we are sometimes lacking, this is where live video is pretty valuable. Experimenting with live video has definitely allowed us to increase our video content output, grow skills and grow confidence in keeping up with trends in the digital landscape. 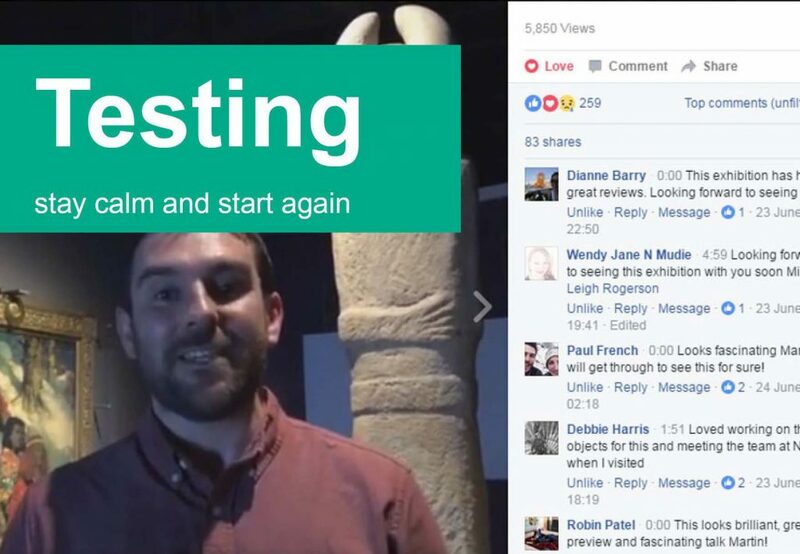 After dabbling on Periscope in August 2015, in June 2016 we decided to make a concentrated effort to plan a series of live broadcasts from the National Museum of Scotland and we chose to do this on Facebook Live. 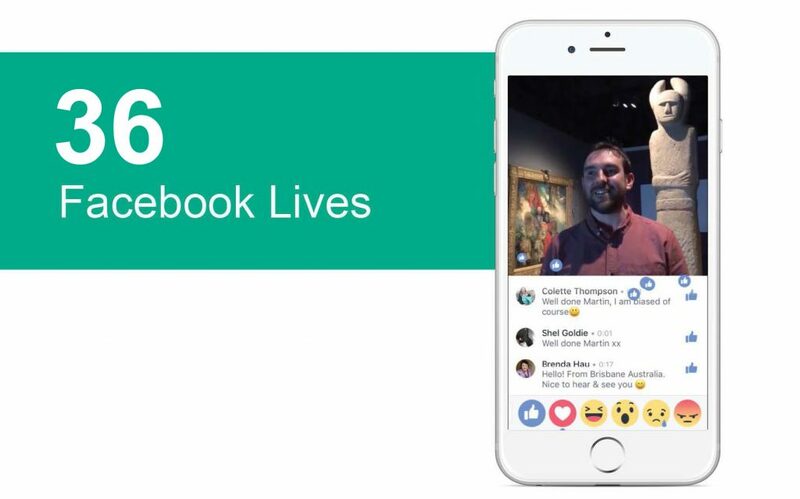 We chose Facebook Live for five main reasons: audience, engagement, longevity, analytics, and algorithm. 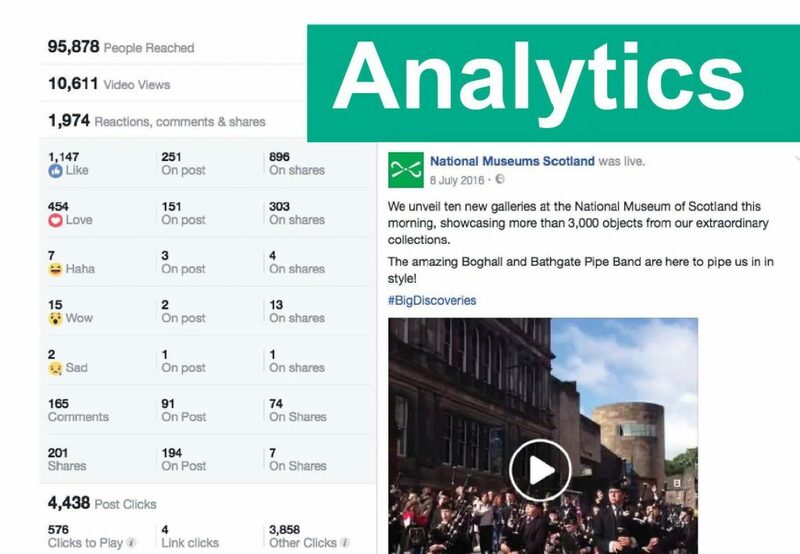 Audience: Facebook has over 2 billion monthly active users, plus National Museums Scotland has its biggest audience on Facebook – with over 74k followers. So for us it made sense to try to make this effort on our channel with this existing strong audience. 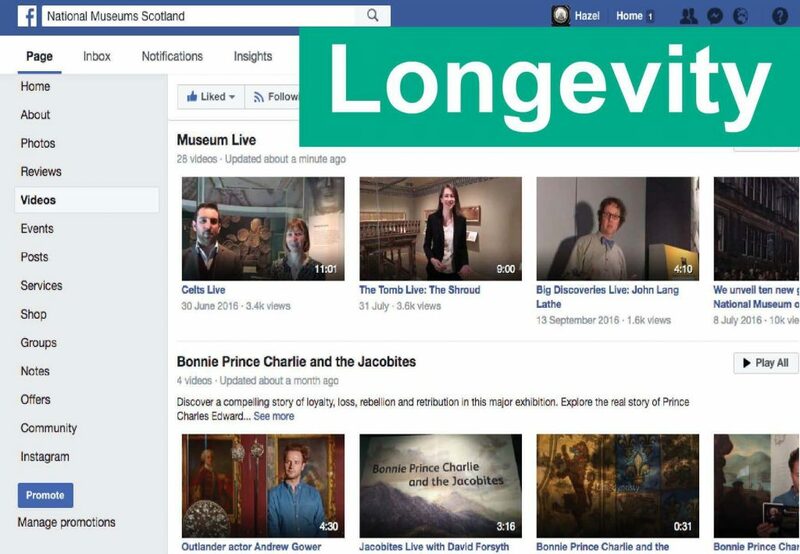 Engagement: We hoped that live broadcasts might help increase engagement on this channel, but it also provides a good platform for discussion – as comments can be posted directly like any other post. Which made them easy for us to view them and respond to them. Longevity: It doesn’t disappear! We are a museum after all and we like to keep a record of things. These live videos stay on your page unless you delete them, which wasn’t the case with some other platforms when we started out. 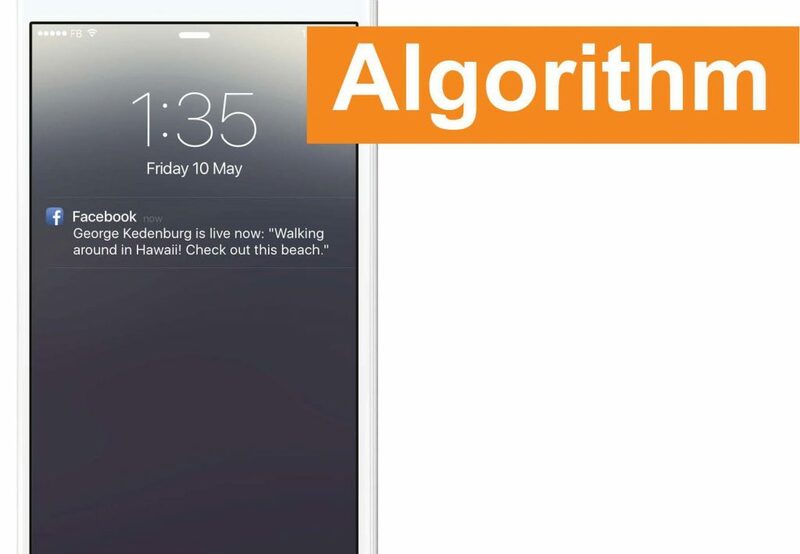 Algorithm: Facebook’s news feed algorithm works in mysterious ways. Which makes some posts fly and others sink. Whilst live was relatively new, it was actively searching for an audience and gave preference to live video, as opposed to non-live video. So it made sense to strike whilst the iron was hot – particularly on this channel. Analytics: Facebook provides a good set of analytics about posts and this helps to measure our experiments. This example is from a video that was taken on the day our new galleries opened in 2016. As you can see it shows a pipe band, something we have found to be popular whenever we have posted about it on social media. These broadcasts have been a real Digital Media team effort, with various members of our small team taking time to organise, produce, film, clean display cases, sshhh people, hold lights etc. We’ve each taken a lead on a number of videos and taken turns at filming, so that we all get comfortable with the format and can cover for each other when necessary. 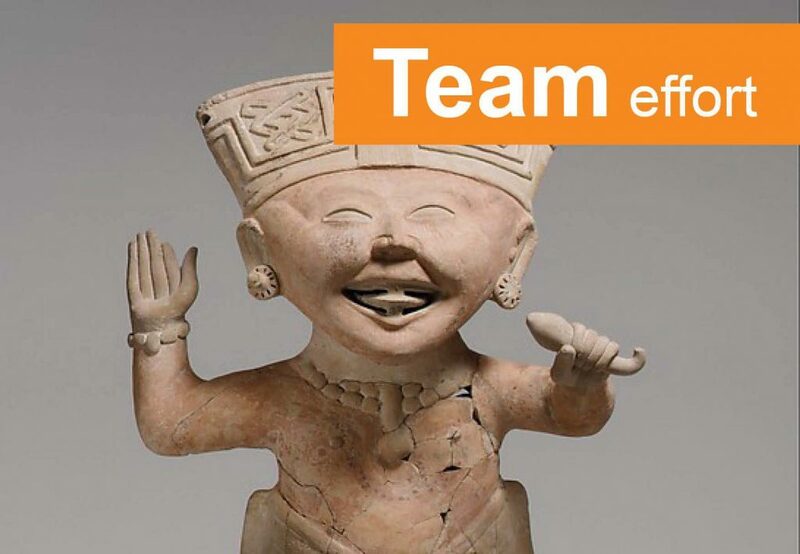 We’ve learned who controls the lights and the keys at the museum, plus had assistance from Exhibitions team to check loan agreements of objects in special exhibitions. We’ve decided that for an organised set-up with a speaker in a new space, it is best to have two people, with one filming and directing the speaker and one looking after everything else (keys, lights, sounds). When capturing elements of events live, then one person is enough. 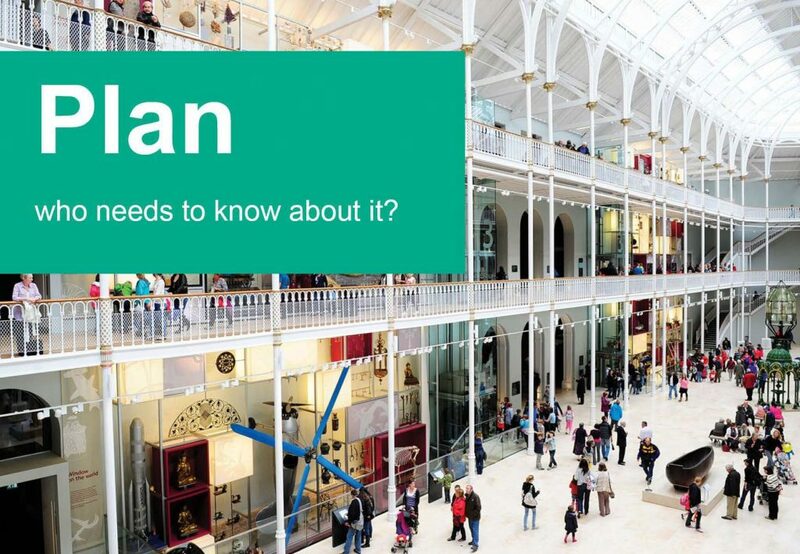 There was a really good input from all of the speakers, who came from a range of departments at the museum: Scottish History and Archaeology, Art and Design, Science and Technology, World Cultures, Natural Sciences, Learning and Programmes and Exhibitions and Design. We’ve featured curators, guest curators, one guest artist, a taxidermist, musicians and even an anamatronic gorilla! What came out in these broadcasts was a wide range of styles, people and lovely objects. The different speakers brought different passions and styles to their talks, as they selected the objects that they wanted to highlight. They commented that it was nice to talk about in-gallery elements and share some extra elements that were not on the labels. So we did have a Digital Media Team tripod and camera, but we didn’t have a Digital Media Team smart phone when starting out with our plans for these Facebook Live elements in 2016. So planning this series was a good impetus for us to request some additional equipment for the team, which has been used for this, as well as a number of other projects. Celts exhibition at the National Museum of Scotland. Dark galleries and noisy spaces have been the biggest challenges for us. Changing spaces every week, each location has given us something new to consider and the museum does come alive in many ways at night (as caterers set up for events or engineers come in to fix AVs). Lighting has been one of our biggest learning curves, as we have moved around the museum and been in a different spot for almost every film. The galleries are often quite dark, with specific spot lights often shining onto objects or displays, but not necessarily where we would like people to stand. We started by borrowing big lights that our Exhibitions team use when installing; these gave quite big pools of light, but they were quite harsh. We tried some cheap DIY options (see greasproof paper!) and although small, they made a real difference when focussed on the speakers. Finally, we made a decision to invest in some proper lights, which have been used on the most recent lives and have made a big difference. 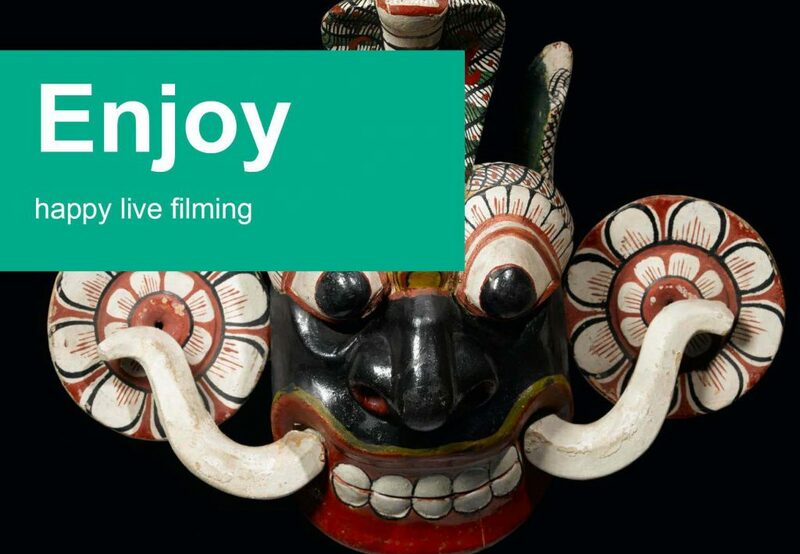 That the act of clicking to go live is not so difficult and once all the planning has been done, the filming is relatively quick. Although filming something we are happy with as an organisation is definitely 90% in the preparation. These lives have been a really nice way for us as a team to work with different and new people across the museum. 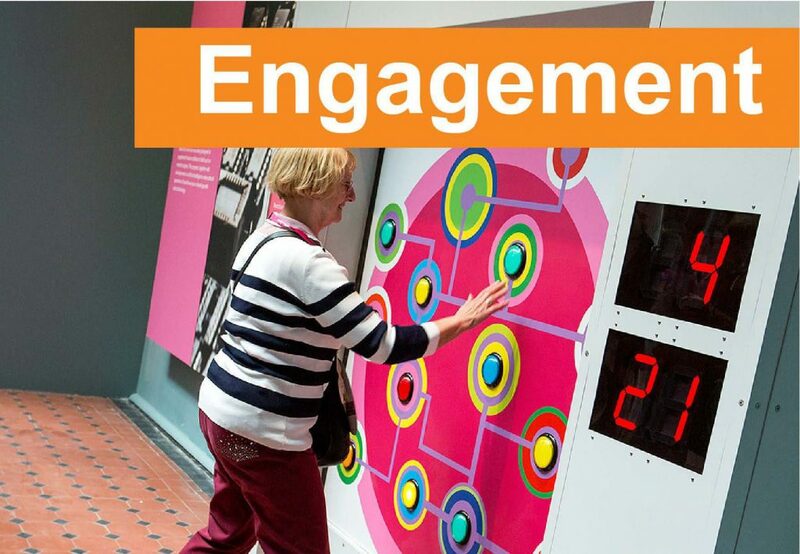 Inviting people to speak about their chosen object is a great way to get a more personal insight into the collections and galleries. We liked trying to pitch a more informal tone and I think this format gave the chance for the personality of the speakers to shine through. 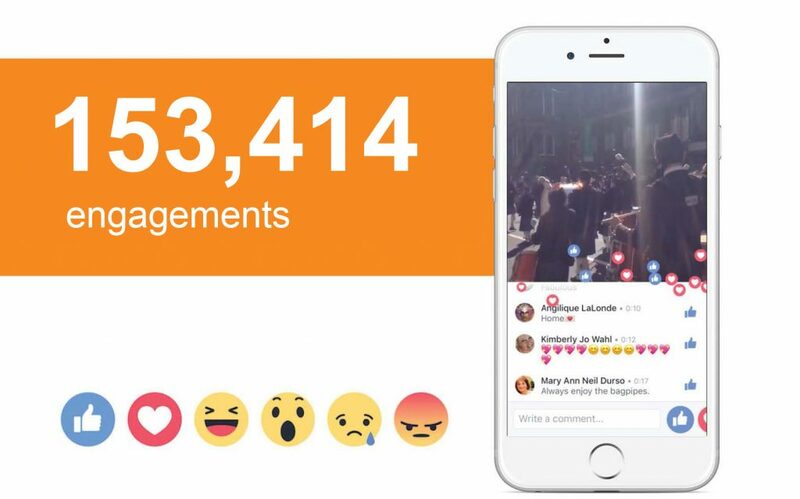 These lives brought in 153,414 engagements, made up of 120,348 total video views, 8758 reactions and 24,308 total post clicks. This was a really good level of engagement for us and each of the posts also received a healthy number of comments. Although not as many questions as we expected, so we need to look at how we encourage more questions. We had feedback sessions with staff following doing the first set of lives and one thing that came out of this feedback was that they would like more guidance on how to speak on this type of video. So I organised two training sessions with an external trainer who looked at storytelling and improv, before switching to practicing some 1:1 filming. I’ve also got an excell sheet running that tracks the speakers, theme, time, video views, reach, clicks, audience, and locations. It’s handy to see how things have done individually and collectively. 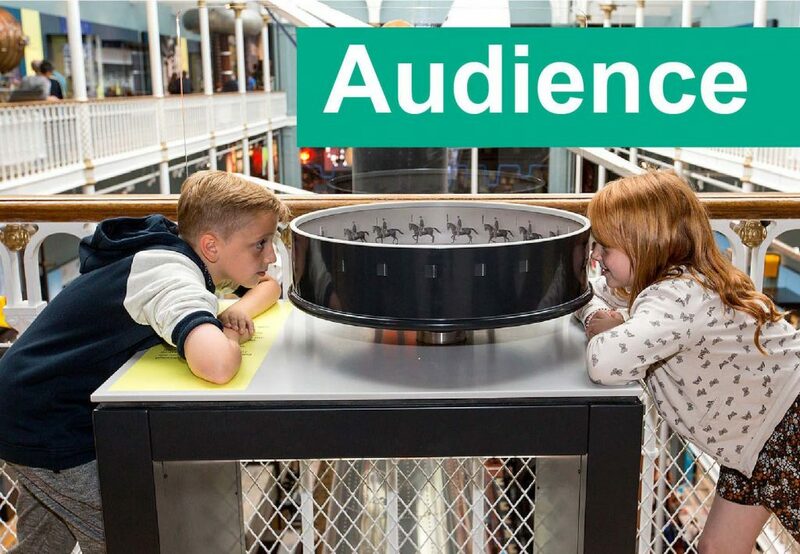 We’ve learned that on average our 62% of our audiences are from Scotland, but the other 38% are watching from all over the world. To date audiences have joined us from England, United States, Canada, Denmark, Ireland, Mexico, France, Australia, Spain, Germany, Sweden, Hungary, Switzerland, New Zealand, Bangladesh, Greece, Italy, Turkey, Taiwan, Croatia, Egypt, Finland, Brazil, Poland, China, Singapore, Malaysia and the Netherlands. We start by looking at which events and exhibitions can be featured and people we know can tell a great story. Then we get onto the practicalities… What locations can we use? What equipment do we need? Are there any permissions we require? Once we have confirmed the people who will feature in our lives, it’s important to brief them, so they feel both relaxed and fired-up. I normally send a set of more informal notes to the speaker in advance (usually a reminder of how long they should speak, the broad themes, points to consider when writing notes and who will be filming on the day). 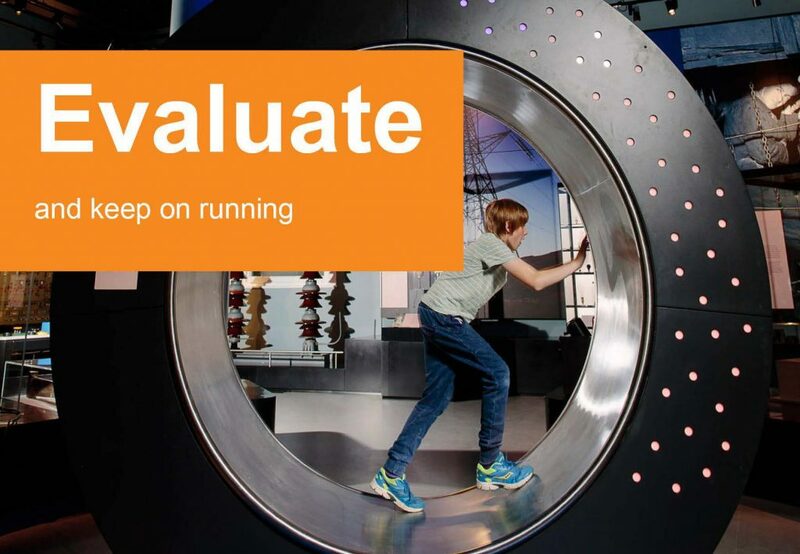 As we are working in a larger venue, we inform everyone that needs to know about it in the museum: from security – for giving us after hours access to spaces, to the lights control and AV team. 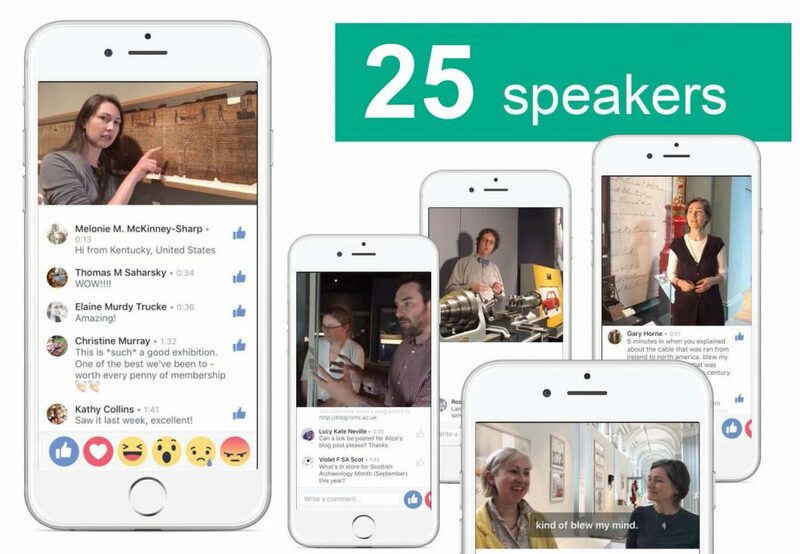 When it comes to hosting speakers on live video, it really is the same as any other form of storyelling. It needs a beginning, a middle and an end. It’s good to get your speaker to write some notes in advance, although a full script rarely works. Structurally, it should start with something to attract attention within the first 5/10 seconds, something to then hold and build attention or narrow focus and finally is there a reward for watching until the end? Finish with a delight for watching to the end, don’t just trail off. For the lives with speakers, we tend to do a quick trial run in the morning. It’s at this point that we make final agreements on the space and object, check positions for the camera and lights, and discuss the theme of the talk a little more with the speaker. When giving constructive criticism, I’ve started using a motto I learned at the training I mentioned earlier = KEEP, CHANGE, STEAL. So I’ll try to tell them one thing they should keep, one thing they should change and one thing I would steal from their style. It’s also a good time to test the wifi signal where you plan to film, make sure the latest app updates are installed, that there is enough space to record the trial on phone and that the battery is charged. When we are filming, we encourage speakers to consider the camera as a person and speak to it in that way. Eye line should be close to the camera, but not staring directly towards the camera all the time. As the camera holder, we need to anticipate where the viewers’ attention needs to be and direct them towards that. Consider what angles and shots you want before you start filming. There is a lot of advice online that recommends promoting the live in advance to encourage people to tune in. We did this at first, but later found that we didn’t want to be as specific with timing in case there were unknown factors to consider before clicking live on the night. So laterally, we have tended to simply go live and then promote after. To make the most out of the content, we also download the video from Facebook to put on Youtube, get captions and upload these to Facebook later. Sometimes, we’ll also post snippets to Twitter or Instagram. It’s quite likely that if you attempt to do some live video you will have some testing moments, achieving live success doesn’t have to be overly complicated. However, it does take a little practice and a little preparation. Although, it gets easier and quicker. We’ll continue doing more lives, and begin to make them more of a part of our social media output within the museum. However, we don’t want all video we produce to be live! So lives will be balanced out amongst more developed films with longer production times and budgets. 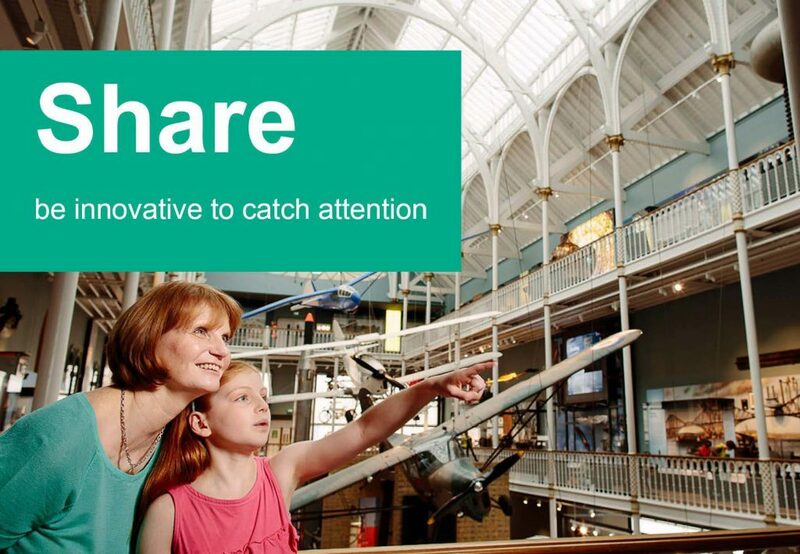 We hope this post encourages some more museums to click live and share some insights into their collection. If you are doing any similar broadcasts, do share your tips, comments, and videos with us. 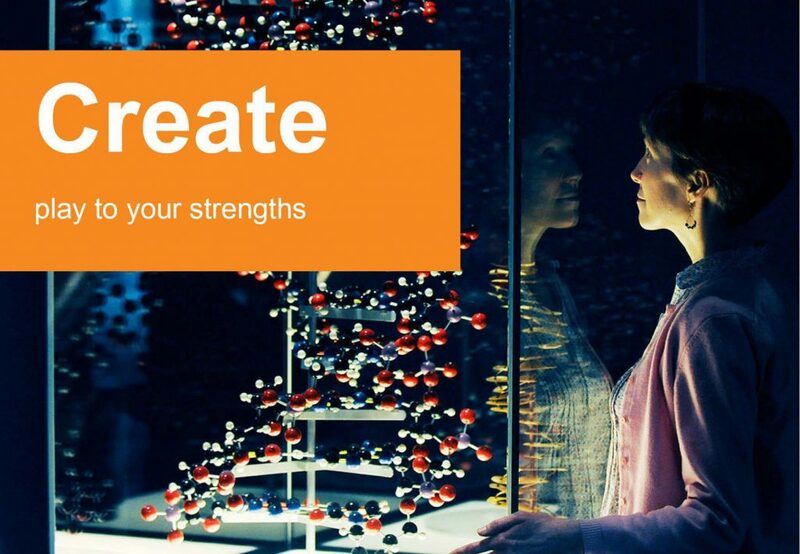 We’d love to hear how it is working for you and whether you would encourage us to try anything different. I was invited to talk about our work on live streaming at the Youthlink Scotland, Communications and PR Network Residential in August 2017 and I presented insights at an Edinburgh Digital Meet in September 2016. You can see slides from these talks below. *I think this countdown no longer happens, it just starts recording. 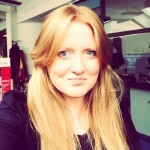 However, seemed a shame to lose this nice blog intro. This blog post was updated on Wednesday 30 August 2017. 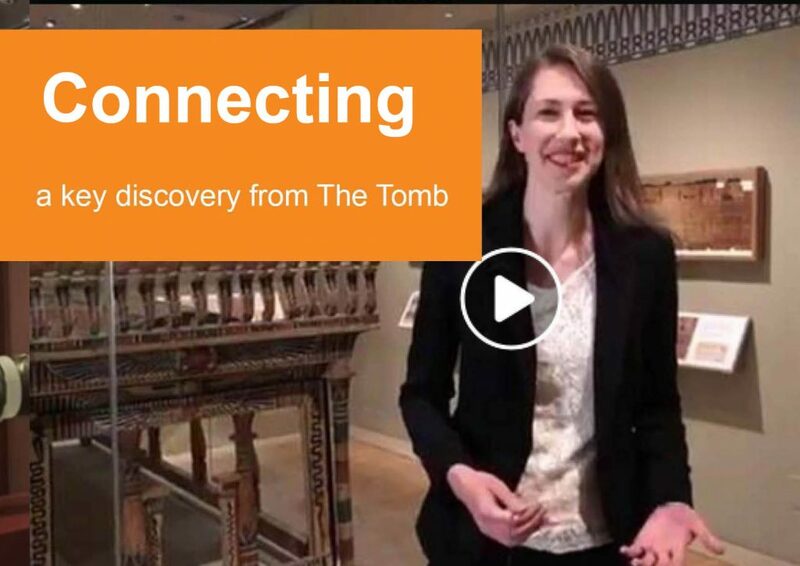 I manage social media at the Getty Museum in Los Angeles and I would like to know how you structured the training for your curators on live video. If you have time to shoot me an e-mail, I would appreciate it.